Hand-colored lithograph depicting diadelphia in flower, from Botanical Specimens (Liverpool, 1828). Botanical specimens, copied from nature, and designed as simple illustrations of the twenty-four classes into which, according to the Linnaean system of arrangement, all plants are divided. — Liverpool: Printed by George Smith, Tithebarn-Street., 1828. The text and collection of 24 botanical illustrations (unbound and on card stock) do an excellent job of clearly and concisely explaining Carolus Linnaeus’ system of classification for botany, and the illustrations, reproduced as hand-colored lithographs, are clear and lovely. The specimens depicted are all common English plants. There are many mysteries surrounding the book: no author, editor, illustrator, or lithographer, is credited. Botanical illustration is a field in which women have been well-represented throughout its history, yet it is not known whether the illustrator was male or female. In the 19th century, Liverpool was a center of both the abolitionist movement and of botany. At approximately the same time Botanical Specimens was published, George Smith also published William Roscoe’s Monandrian Plants of the Order Scitaminea: chiefly drawn from living specimens in the botanic garden at Liverpool. William Roscoe (1751-1831) was a historian, MP, botanist, founder of the Liverpool Botanic Garden, and an ardent abolitionist. While William Roscoe wrote Monandrian Plants, his daughter-in-law, Margaret Roscoe (Mrs. Edward Roscoe, née Lace c. 1786–1840), provided several of the illustrations for it. Margaret Roscoe also wrote and illustrated Floral Illustrations of the Seasons. Coincidentally, another of the outstanding botanists and botanical illustrators of the 19th century, Mrs. Priscilla Susan Bury (Mrs. Edward Bury, née Falkner, 1799-1872), lived and worked in Liverpool through much of the period. 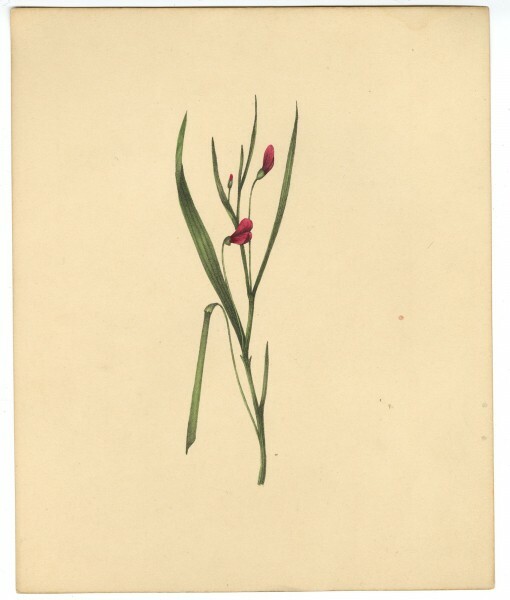 She wrote to William Roscoe in 1829 to request his guidance on the publication of her work, then titled “Drawings of Lilies”, and for his permission to model it upon Monandrian Plants. The illustrations in her 1831 work, A Selection of Hexandrian Plants, Belonging to the Natural Orders Amaryllidae and Liliacae, from Drawings by Mrs. Edward Bury, Liverpool, bear a striking resemblance to the illustrations in Botanical Specimens. Botanical specimens, copied from nature, and designed as simple illustrations of the twenty-four classes into which, according to the Linnaean system of arrangement, all plants are divided. — Liverpool: Printed by George Smith, Tithebarn-Street., 1827. William Roscoe. Monandrian Plants of the Order Scitaminea: chiefly drawn from living specimens in the botanic garden at Liverpool. Liverpool: Printed by G. Smith, 1828. 292 pages.